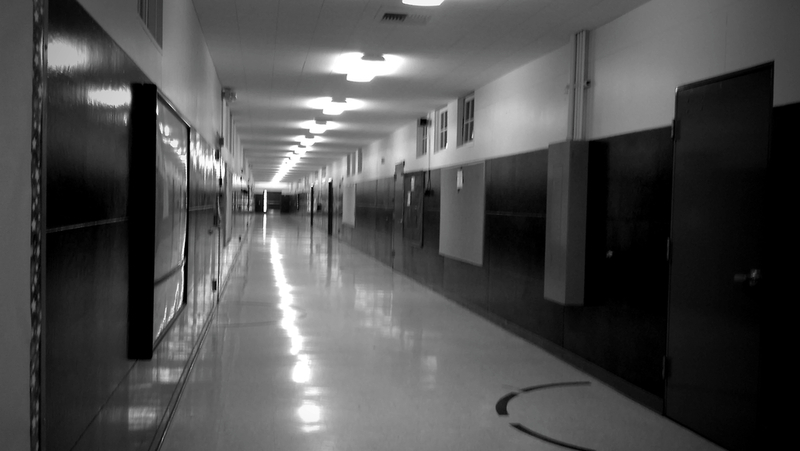 SACRAMENTO, CA – During his tenure as Superintendent, Mr. Raymond made important progress for several of his “priority schools.” Hmong Innovating Politics (HIP) applauds his efforts and attention to a handful of schools that had been historically disenfranchised and starved of essential resources. Furthermore, while HIP opposed the process by which Mr. Raymond and the School Board closed seven neighborhood schools, we recognize that Mr. Raymond remained cordial in all of our interactions. It must be noted however, that throughout the school closure process, Mr. Raymond repeatedly promised displaced students, parents and families that they would have his unwavering support and attention during this very tumultuous time. His abrupt departure in the midst of the transition process is a reversal of that commitment. Many of the displaced students are still adjusting to their new schools and no plans have been formalized for the seven vacant campuses. 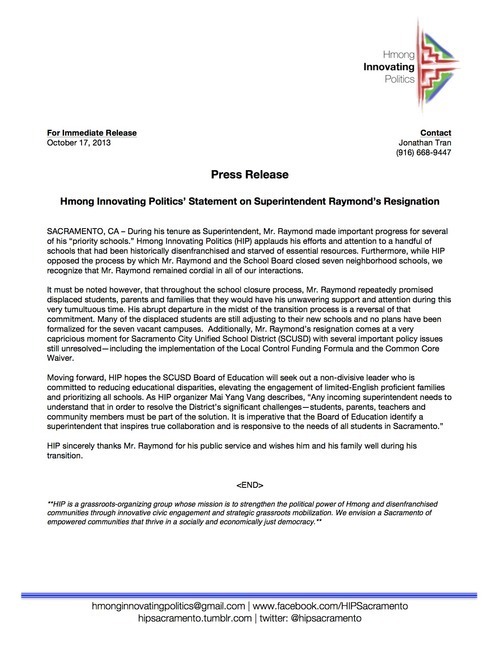 Additionally, Mr. Raymond’s resignation comes at a very capricious moment for Sacramento City Unified School District (SCUSD) with several important policy issues still unresolved—including the implementation of the Local Control Funding Formula and the Common Core Waiver. HIP sincerely thanks Mr. Raymond for his public service and wishes him and his family well during his transition.